On behalf of Catawba College and the Pioneer Student Newspaper, we would like to thank everyone on this page who continually help to make our newspaper and our passion, possible! Have some art that you want to hang? Need a nice mat and a frame at a good price? 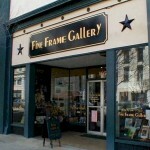 Take a stroll through downtown Salisbury and you’ll discovery Fine Frame Gallery. This store contains every color and pattern of mat and frame imaginable and you’ll be greeted by the lovely owners, Bruce and Jackie Wilson. They also exhibit an extensive collection of wonderful art. Fine Frame Gallery truly is a picture’s paradise! 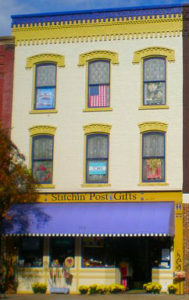 Stitchin’ Post Gifts, established 1975, is a gift and ladies’ accessory shop and, my, what a shop it is! The building is circa 1860 in the heart of Historic Downtown Salisbury. You will find unique gifts for every season and for every person on your list. You will be amazed with their products and their great customer service. They have been voted as the Best Gift Shop in Rowan County for 2010, 2011 and 2012, and rightly so. If you love TOMS, then you’ll love Stitchin’ Post Gifts. They also display a wide and beautiful collection of Willow Tree Angels and so much more. In addition to being so inviting on the outside, the inside feels like home and the employees make you feel like family. With so many wonderful brands and products, it’s impossible to pass by. Stop by and say “Hello” to Sasha, the shop’s kitty. 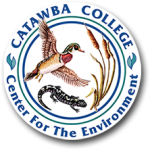 Don’t forget, Catawba students get 10% off with their ID! *If you would like to sponsor the Catawba College Pioneer Student Newspaper, please contact us.